NEW YORK, March 26, 2019 /PRNewswire/ — ABYA®, an online cloud gaming service that will allow subscribers to play their favorite games in real time at the highest quality from just about any web-connected device, launches an open beta program in the US May 2019 www.ABYA.tech. For a small monthly fee, subscribers no longer have to spend hundreds or thousands of dollars on the latest high-powered consoles, gaming-PC’s, or highly priced single game discs or digital downloads. As easy as playing a movie on Netflix, users can enjoy the latest games played at the highest resolution with near zero latency on everything from their old smartphones to their big screen 4K TV’s. This small startup is competing with the likes of tech giants Microsoft, Sony, Google, and Nvidia in capturing part of the nascent but rapidly expanding market of cloud based gamers. Powered by Amazon Web Services and IBM’s Cloud, ABYA has developed a near zero latency platform with proprietary tech. Unlike the competition, including the tech behemoths, ABYA does not require a host of clunky, glitch-prone support software to operate— it is built on a robust bare-metal design. Compared to virtualization based platforms, ABYA® has a 23% performance increase in CCU and a 66% lower TCO. ABYA enables users to enjoy 1080p 60 FPS gaming with support for 4K coming soon. 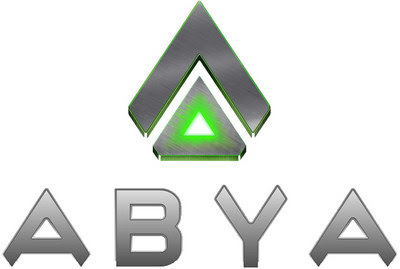 In addition to hard-core gamers, ABYA has positioned itself to host millions of casual gamers who’ve been unwilling to spend money for expensive gaming systems yet hunger to play the leading graphically intense games on their current mobile devices or computers. ABYA is led by: Franco Miceli, CEO, former head of R&D at Plan Ceibal; Waldemar Fernandez, Chairman, has taken several companies to NASDAQ including Interland, now Web.com (WWWW); and Nicolas Jodal, creator of the world renown Genexus platform. ABYA is currently entering its first round of investor financing (abya.tech/ir). ABYA, Inc. is a New York based company that designs, develops, and integrates technological components to create cloud-gaming solutions and is composed of a team of young engineers who all share a passion for technology and video games.